They say good things are worth waiting for. 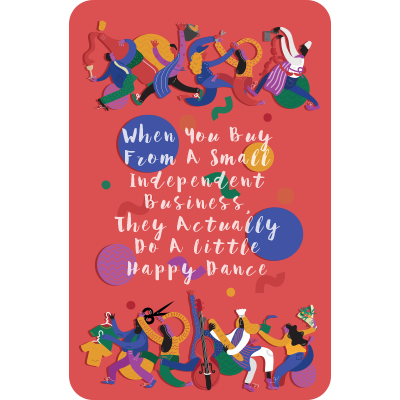 Ladies and gentlemen, it’s been a long time coming but today is the day we announce you can officially use your Independent Liverpool Membership Card at Baltic Market. Would you believe it? Able to use our card at our own venue. Boy, we spoil you! 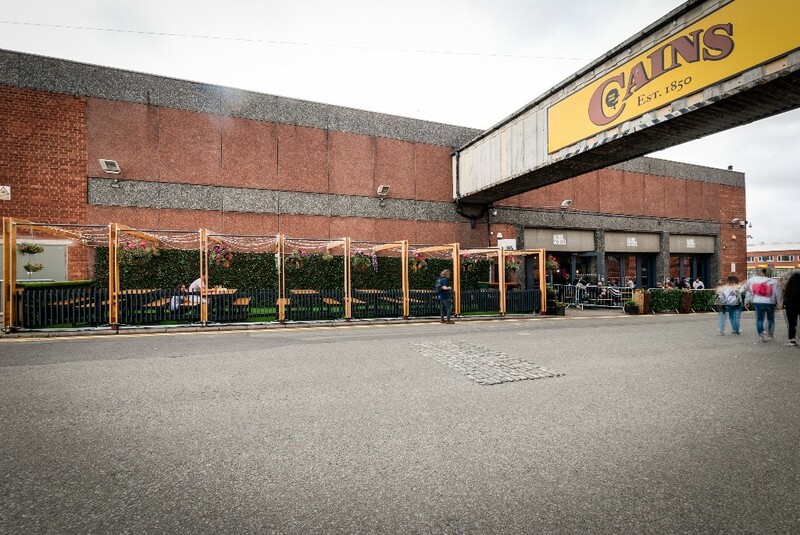 For those unaware, Baltic Market is our very first venue and is Liverpool’s first street food market based in the iconic Cains Brewery and buzzing Baltic Triangle. But we must warn you before going on, this is probably going to include lots of pictures of food so you know. Don’t blame us if you end up hungry. It’s 1826 in a hospital in Spike Island, Country Cork. A baby boy is born named Robert Cain who would grow up to have quite an influence in Liverpool. The Cains brewery was founded in 1858 when he bought the brewery and within 25 years had established over 200 pubs as well as making Cains a household name. In 1921 Robert Cain sadly died and some decades later so did the brewery. Left derelict for some years, the brewery has undergone some serious change. The facades and the beautiful architecture may look the same but what’s happening behind them couldn’t be more different. Granted, the taps may have run dry but the creativity certainly hasn’t. What was once a place to brew has now become a very special part of Liverpool full of bars, coffee shops, vintage shops, co-working spaces and Baltic Market – your new favourite place. The Baltic Market is true foodie paradise and is full of amazing street food brands. Eight, in fact. We’ve got Hafla Hafla specialising in Israeli street food and halloumi fries, Timmy Tikka specialises in Indian street food and they’ve got rice bowls, kati rolls and more. Slim’s Pork Chop Express are slinging out cheesy pulled pork fries and smoked meats, Down The Hatch specialise in vegan junk food with attitude. Oktopus have popcorn mussels and soft shell crab burgers, Little Furnace are whacking out wood-fired pizzas, The Midnight Delivery have got doughnut fries and cheesecakes galore and, finally, Pao are rustling up Asian street food with more kick than a Bruce Lee Movie. We’ve got an amazing vegan, veggie, meaty and gluten-free selection so pop down, dining out no longer means missing out. Traders will also change every six weeks or so meaning there’s even more reason to come back and possibly even more just cause to invest in bigger pants. More than just food, there are also alternating markets on Sundays to accompany the street food market. Flea markets, makers markets, farmers markets and more – supporting local has never been so easy. 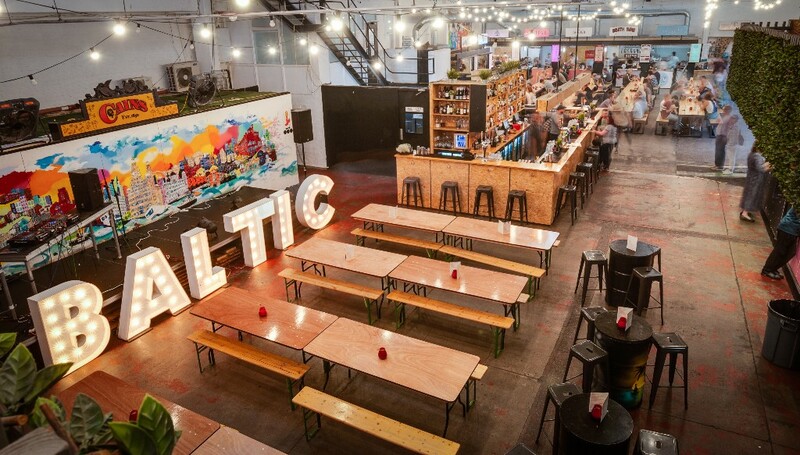 All in all Baltic Market is place for fussy friends and picky palates, zealous vegans and juicy meat lovers, the gluten free and the never full. Home of halloumi fries, frozen Aperol Spritz and Thai rolled ice cream. Doughnut fries and popcorn mussels. A place for everyone and everything. So bring your loved one, your mates, your Nan or your Chihuahua and join us in a weekly celebration of everything that makes Liverpool great. Which is you, if you hadn’t realised by now. The journey of Independent Liverpool has been nothing short of a rollercoaster. From blogging in our Mum’s spare bedroom to opening a street food market in the iconic Cains Brewery where thousands come to drink local beer and support local business. It’s a dream we never thought would even be possible and the reason it exists is down to the support from you reading this. So when you get a spare evening or afternoon, come and see what you’ve help do for the city we all love. And have something to eat and drink whilst you’re there. You deserve it. P.s. we’ve got some pretty amazing neighbours in Cains so whilst you’re down make sure you pop in and say hi. Have a swift half in The Brewery Tap, a vermouth in Kiosk, discover something amazing at Bijoux Vintage and Red Brick Vintage, grab something to eat at Alhambra, have a coffee at Ryde, game of golf at Ghetto Golf and if you’re still standing, finish it all off with a cocktail at Dockleaf. You’ll leave seeing Liverpool in a new and brilliant way. Opening hours: Thursday 5pm-11pm, Friday 12pm-midnight, Saturday, Sunday 11am-midnight, Sunday 11am-9pm. Deal: 2 of the same frozen cocktail for £10, Bucket of Estrellas for £18 or 2 for £10 of special, half price bottles of prosecco on Thursdays.